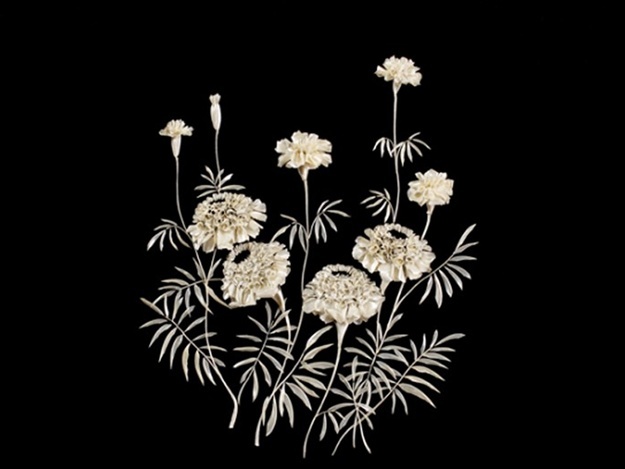 The exhibition dedicated to the anniversary of the master Elena Zhuravskaya “Bone’s lace ” – the author of unique paintings, which served as material for … fish bones. There are artists who create their paintings, not using colors. They are replaced by a completely unexpected natural and artificial materials. Elena Zhuravskaya – an inveterate fisherman and after fishing she collects bones and scales of carp, perch, pike and other parts which turns into art. The collected material is carefully pre-washed, dried, and then painted and varnished.